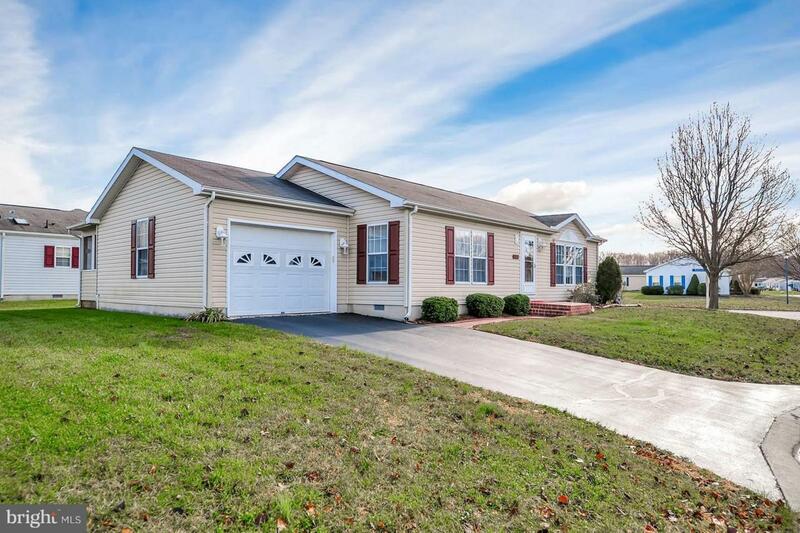 R-10757 Located in the 55+ community of Wild Meadows, this affordable and well-kept home is now available and ready for its new owners! 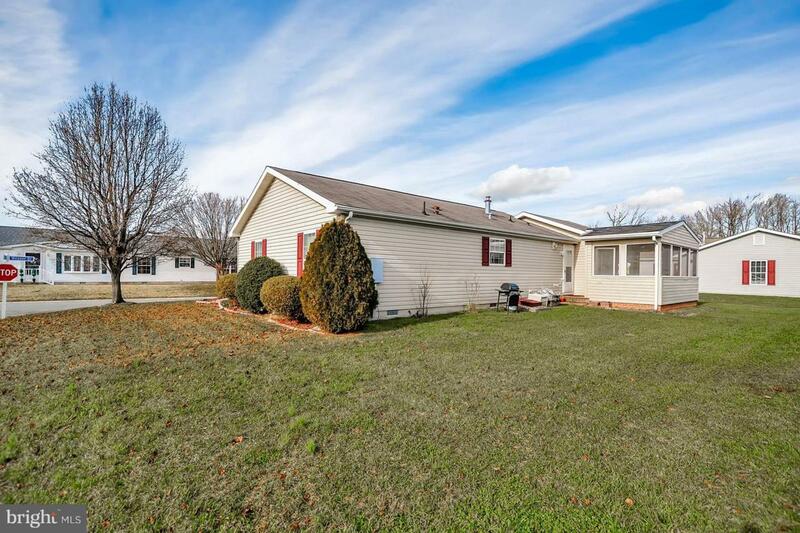 This adorable and cozy 2-bedroom 2 bath home situated on the corner of Weaver Dr., welcomes you with a custom brick pathway and a simplistic yet spacious layout with beautiful laminate flooring throughout. 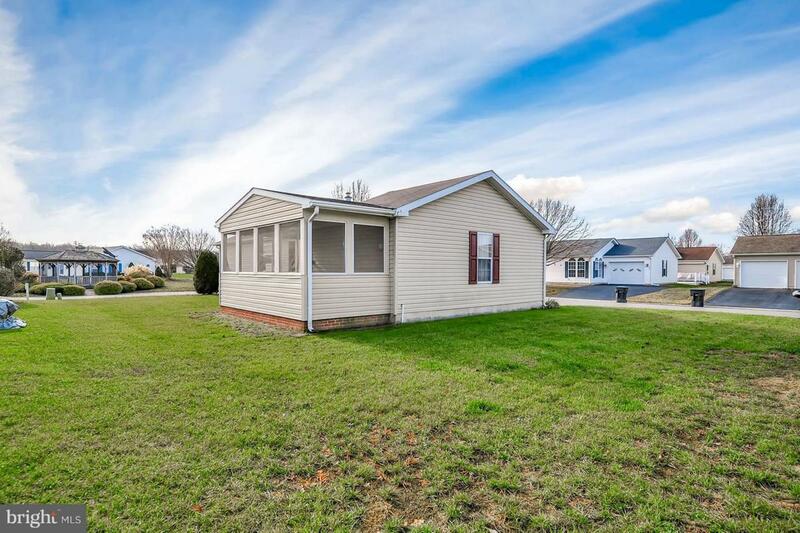 This well-maintained home also has a 1 car garage and a large brick screened in porch/sun room for indoor garden or additional space. Maintenance free living with plenty of activities! 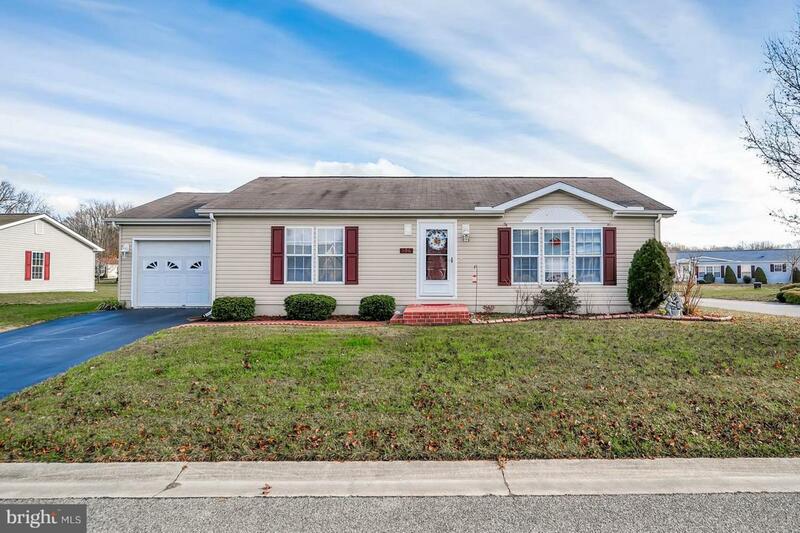 Close to Shopping, Dover Downs, Restaurants, Medical Facilities, and more, this area has a lot to offer! Schedule your tour today! Lot Lease includes: common area maintenance, snow removal street, swimming pool, and a clubhouse.